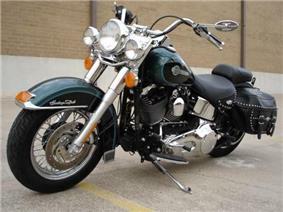 A cruiser is a motorcycle in the style of American machines from the 1930s to the early 1960s, including those made by Harley-Davidson, Indian, Excelsior and Henderson. The riding position usually places the feet forward and the hands up, with the spine erect or leaning back slightly. Typical cruiser engines emphasize easy rideability and shifting, with plenty of low-end torque but not necessarily large amounts of outright horsepower, traditionally V-twins but engine configuration are common today. Cruisers that have greater performance than the norm, including more horsepower, stronger brakes and better suspension are often called power cruisers. 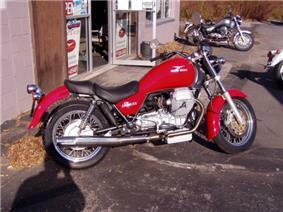 Japanese companies began producing models evocative of the early cruisers in the mid-1980s, and by 1997 the market had grown to nearly 60 percent of the US market, such that a number of motorcycle manufacturers including BMW, Honda, Moto Guzzi, Yamaha, Suzuki, Triumph and Victory have currently or have had important models evocative of the American cruiser. Harley-Davidsons and other cruisers with extensive luggage for touring have been called, sometimes disparagingly or jocularly, baggers, or full baggers, as well as dressers, full dressers, or full dress tourers. 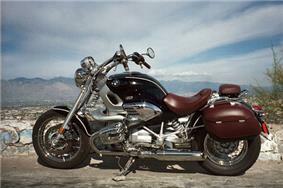 Now these terms can refer to any touring motorcycle, not only cruisers. Cruisers are often the basis for custom motorcycle projects that result in a bike modified to suit the owner's ideals, and as such are a source of pride and accomplishment. Many power cruisers and Japanese cruisers of the 1980s have more neutral riding positions. While typical cruisers have limited performance and turning ability due to a low-slung design, power cruisers or similar performance-oriented cruisers can be leaned farther for better cornering. Otherwise, customization can increase the bike's lean angle to enable cornering at higher speeds. ^ McCraw, Jim (20 July 1997). "Motorcycle Wars: Japan's Latest Shots at Fortress Harley". New York Times. Retrieved 13 October 2013. Mr. Brown says cruisers are driving much of the industry's growth, accounting for more than 58 percent of street-bike sales. He estimates that Harley will take 52.5 percent of the cruiser market this year, down from 55 percent in 1991, and the four Japanese companies will combine for 47.3 percent, with Honda at 16.4 percent, Suzuki at 11.5, Kawasaki at 10.7 and Yamaha at 8.7. ^ Stuart, Ben. 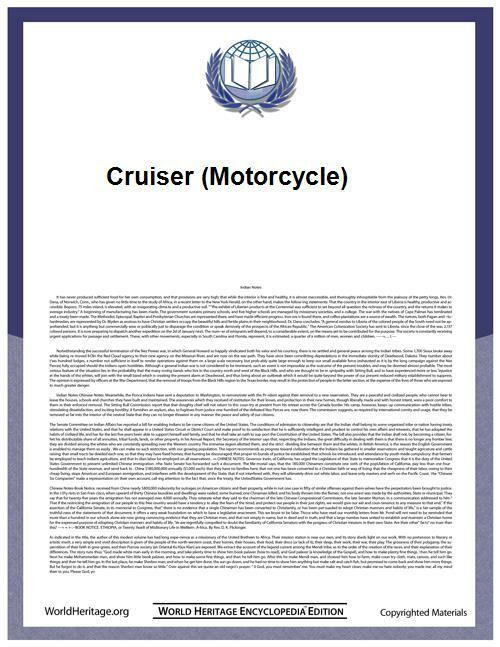 "5 New Middleweight Cruiser Motorcycles: Comparison Test", Popular Mechanics, July 1, 2008, accessed April 20, 2011.